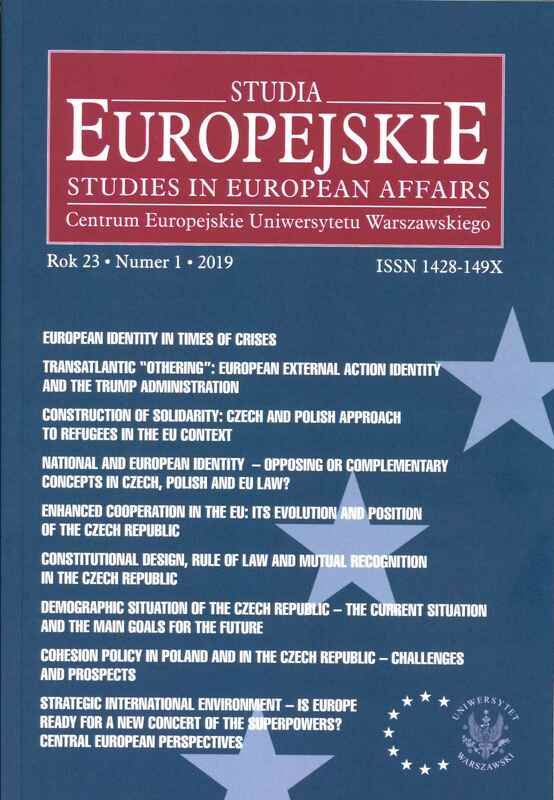 The authors who submit proposals of materials for free of charge publication in the academic quarterly ‘Studia Europejskie – Studies in European Affairs’ are asked to respect the rules of formatting and editing of texts, otherwise they will not be accepted. Articles can be written in Polish or English. If the text is prepared in English, please use the guidelines for authors published on the English website. Tips for authors of texts in Polish. Submitted texts will be published after receiving positive reviews. Each article is checked using the ‘Similarity Check’ anti-plagiarism program. To avoid the ghostwriting indication, please name all co-authors who participated in the creation of the article. Authors of texts accepted for printing are required to inform the Editorial Office of CE UW Publishing Program (in the form of a statement) about the possible occurrence of the so-called conflict of interest. By a conflict of interest, the Editorial Office understands a situation where authors or their institutions have financial or personal relationships with other persons or organisations that could improperly influence the content of the articles prepared by the authors. Authors of texts accepted for publication are required to inform the Editorial Office of CE UW Publishing Programme (in the form of a statement) about a possible source of financing of the article prepared by the author (financial contribution of scientific and research institutions, associations or other organisations). The main criterion for ineligibility of the article for publication is the misalignment of the text with the thematic profile of the quarterly.